3D printing is an additive manufacturing technique of synthesizing a 3D object through a 3D printer. 3D design and printing has gained immense importance in the modern era due to its versatility and a nominal manufacturing cost. 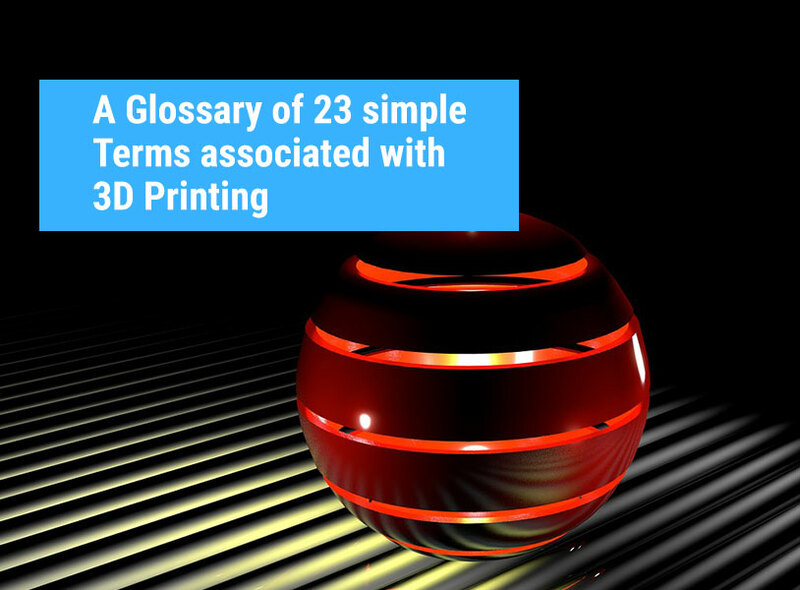 Let's go through a glossary of 23 simple as well as popular terms associated with 3D design and printing. 1. 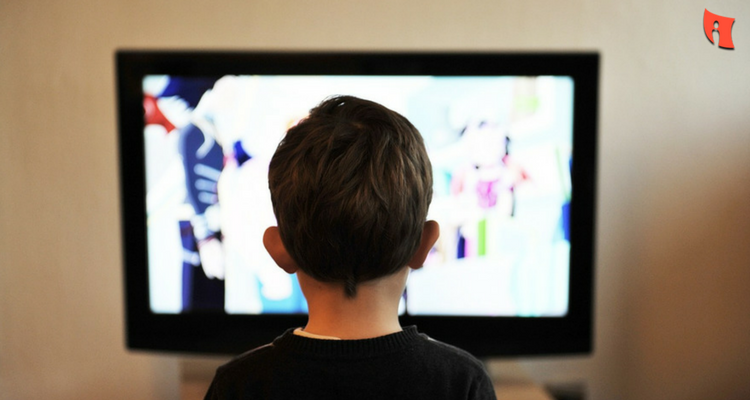 3D – 3D stands for three dimensions. These 3 dimensions are mainly represented by the 3 axes of geometry- x, y and z. 2. ABS- This is a type of plastic (more specifically a thermoplastic) used to manufacture objects by 3D printing. It's known as Acrylonitrile Butadiene Styrene. When ABS is heated, it gets soft and malleable. 3. Additive Manufacturing (AM)- It's a process through which an object is built by addition of layers on top of each other. 3D printing is basically known as an AM process. 4. Build Platform- This is a flat surface which is used as a form of base for creating 3D objects through non-resin three-dimensional printing. Resin based 3D printing doesn't use a build platform. Instead, a resin-filled tank is used. 5. Build Volume- Build volume is the maximum length, height and depth used by a 3D printer for building an object. Build volume is also known as Print Volume. 6. CAD- CAD is mainly used for 3D object designing purposes. CAD is the acronym of “Computer-Aided Design”. CAD is used for completing complete three-dimensional models like buildings, mechanical parts etc. The precision of CAD models is far more superior to other models. Sculpture modeling as well as polygon modeling software are also used for creating three-dimensional models. 7. Extruder- This is a nozzle which takes the thermoplastic or any other matter and deposits the same at a specific location by using its print head. 8. FDM- FDM is the acronym of “Fused Deposition Modeling”. FDM's a process through which a fused substance is deposited layer-wise on top of each other for creating a 3D object. FDM bears a trademark. 9. FFF- It means “Fused Filament Fabrication”. This is equivalent to FDM but it doesn't have any trademark. 10. Gantry- Gantry is a type of steel frame consisting of secured beams used by larger 3D printers to suspend print head as well as other printer parts as models are created. 11. Gcode- This is the programming language utilized by 3D printers. A 3D object model should be saved in the STL file format after which it'll be converted to the Gcode for final printing. 12. Hardening- Like the name suggests, it's a process by which the 3D printed models harden to their final forms. Also known as “setting”. 13. Heated Bed- This is a type of build platform that's always kept warm with the objective of keeping the base of the part kept on its surface warm, thereby preventing it from cooling too quickly. Heated beds generally produce superior quality finishes. 14. OBJ- 3D modeling software require(s) a file format for generating 3D models. OBJ is the most common file format used by these software. The OBJ file format needs to be converted to STL and then further to Gcode for final 3D printing. 15. PLA- This is another form of thermoplastic used as an alternative to Acrylonitrile Butadiene Styrene (ABS) for 3D printing. PLA stands for Polylactic acid. PLA has a peculiar characteristic. PLA is a type of sugar and hence, it produces a sweet odor when it's heated. 16. Polygon Modeling Software- This software can produce models through the connection and combination of polygon shapes generally at their respective edges. 17. Quad geometry- This is used for describing three dimensional models as 4-sided polygons. This is used in sculpting and polygon modeling software. Quad geometry needs to be converted to triangle geometry for 3D printing because stereolithography (STL) file format utilizes triangle geometry. 18. Sculpting Software- These software are a form of polygon modeling software that are optimized for handling a large number of polygons. For example- round edges, human shapes. 19. Slicing- Slicing is a process of conversion of a three-dimensional computer model file into a number of layers for translating each layer into a form of machine code that is utilized by the printer to manufacture 3D objects. 20. Stereolithography- This is an additive manufacturing process in which layers are built on top of each other by curing resin with the use of a laser. 21. STL- This is the stereolithography file format. STL describes a three-dimensional model as a series of triangles. Files in STL are converted into Gcode that are used by 3D printers to print three-dimensional objects. 22. 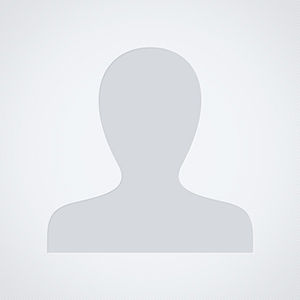 Thermoplastic- This is a type of plastic that becomes malleable on heating and solidifies when it's cooled. 23. Triangle Geometry- STL file describes a 3D model as a series of triangles, known as triangle geometry.